Interior designers introduce design elements and flair into interior spaces. Working to client briefs, they utilise design principles to make spaces both functional and aesthetically pleasing. Interior designers can be engaged to design spaces in a range of different indoor settings, including homes and businesses. They rely on their vast knowledge of furniture, design, materials, colours and compositions to create beautiful and functional rooms. Dealing primarily with interior spaces, interior designers use design principals and an understanding of aesthetics to transform spaces into something functional and stylish. They collaborate with clients on creative briefs to ensure the spaces meet the needs and taste of their client. They create design and style concepts that work with architectural plans, help select colour schemes and create moods for rooms. Once they have confirmation of the overall concept, interior designers source or commission furniture, artwork, painting, furnishings and fixtures, within the project’s budget. Interior designers need to adapt at thinking creatively and technically. They need excellent communication skills and the ability to delegate tasks effectively. Excellent attention to detail is vital to maintaining the integrity of their work. Interior designers work with a range of other people to deliver projects, including property owners, other designers, tradespeople, vendors and clients. They must have the ability to work to deadlines and to budgets to deliver their projects. Qualified interior designers can move in to a variety of specialised roles, each with their own required qualities. Working in the film industry, production designers use their interior design skills to help create set pieces and furnish rooms on film sets. Textile designers formulate new and innovative ideas for different textiles and fabrics. Props departments are the people in charge of storing, creating and building sets and set pieces in film and theatre. They collaborate with the director to source or make items required to create the vision for the script. 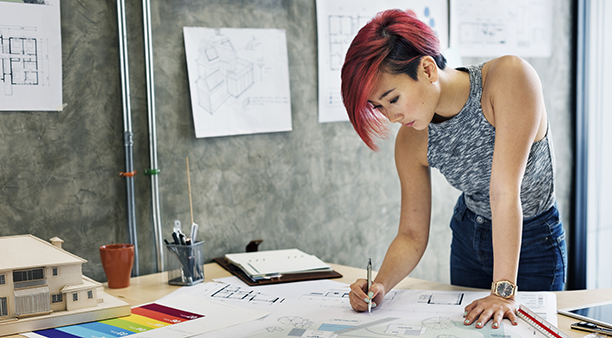 A variety of study pathways exist for those considering a career as an interior designer. 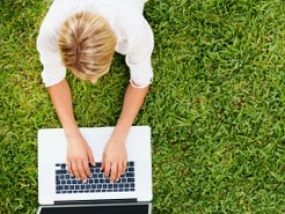 Tailor a study plan that suits your personal strengths and interests. Build up an understanding of the professional principles that inform interior design and study for a rewarding career. Get ahead in the competitive design industry by brushing up on your techniques, skills and knowledge. Apply to become a member of the Design Institute of Australia to improve your industry standing. Strong growth in interior design opportunities is predicted over the next five years in Australia.